Yesterday on The Star Wars Show we were treated to our first looks at two new vehicles that will be appearing in Star Wars: The Last Jedi. It appears the First Order will be bringing in the big guns with the AT-M6(All Terrain MegaCaliber Six) Walker and the Mandator IV-class Dreadnought. 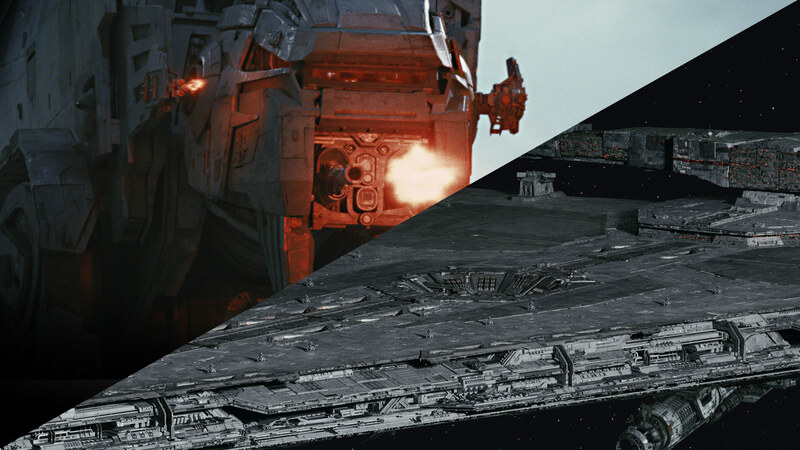 Both will be featured prominently in The Last Jedi, and today StarWars.com discovered what inspired these vehicles. 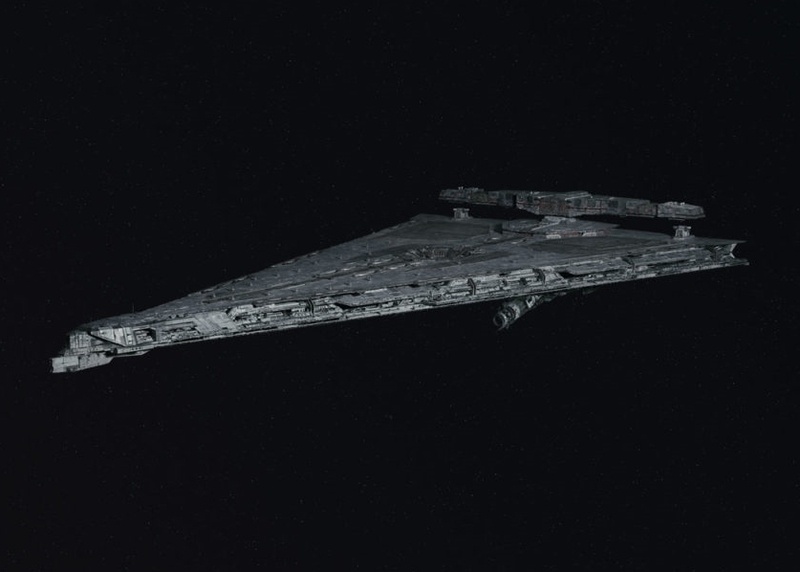 StarWars.com's Dan Brooks had a fascinating interview with The Last Jedi's design supervisor Kevin Jenkins, who spoke at length about what it took to create the AT-M6 and the Dreadnought. We have included a few excerpts from the interview in this article, which you can read below. StarWars.com: As you were developing it, what were you looking at for inspiration? Were you looking at real-world craft or were you going back to the original trilogy and building off what came before? How did you approach it? Kevin Jenkins: Combination of the original trilogy stuff, in the sense that I designed everything in Episode VIII as if it was to be a model. World War II and the Korean War and that era was a heavy influence in all the design, going into the ‘60s. But also using the mentality that Rian and I talked about a lot, which was an iteration-type idea. War makes you adaptive. So you start off with one vehicle, tank, gun, ship, and it evolves through combat into something else. The gun platform, of course being a larger Star Destroyer gun platform, we initially started with a giant triangle, which was the shape of a Star Destroyer. But then flattening off the top became a big design requirement. Quite late in the design phase, the under side of it was also sloped like a traditional Star Destroyer, because they are kind of a trapezoid shape if you look at them in a cross-section. 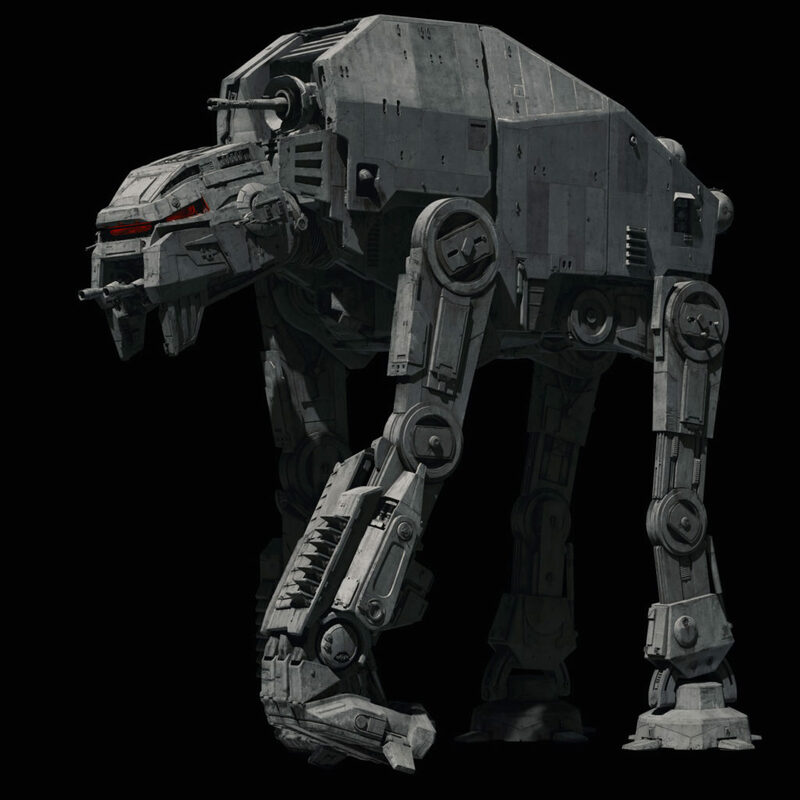 StarWars.com: Let’s jump over to the AT-M6. Walkers are a huge part of Star Wars and a fan-favorite thing. We see them in the original trilogy, the prequels, the animated series. So in coming up with a new kind of walker here for the sequel trilogy, what did you want to accomplish and what direction was Rian giving you? Kevin Jenkins: Well, there were a few ideas that were kicking around before we came up with this idea. Funny, just before I took a vacation, sort of half way through preproduction, I talked to Rian about “what is a walker.” We went through this whole discussion about iteration. Iteration, to me, makes more sense than random walker design. So we talked about the way a Sherman tank in World War II evolved into an Abrams tank, for various reasons, or a Chieftain tank, or a Challenger, or whatever you want to say. And so we were trying to think about what made sense for a walker and I just said, “Look, a walker, to me, it’s essentially a Panzer tank mixed with a dog.” One of the questions that tied us up a lot is the fact that they’d been taken down by snowspeeders in The Empire Strikes Back, and it felt like everyone else is trying to avoid the problem of a four-legged version of a walker because they had been defeated on Hoth. So I sort of took that on board and I suggested to Rian, “Well, instead of a dog, what about a gorilla?” I can’t remember why I said a gorilla, but I just said, “They have a great stance, they are very aggressive,” and that’s how the idea of the gorilla came. And literally in profile, I molded it over an actual photo of a gorilla to get the initial base pose. The front legs are very heavily armored, and you can see can almost up to the forearm. And again, that’s my take on, “You can’t take these down with a snowspeeder.” They’ve armored up the front or maybe they just cut the ropes because they are too big now. Also, the way they are balanced now is like a gorilla, because their knuckles are turned backwards and they’ve got very high shoulders. They are a completely different poise. Maybe they could even sort of kneel down or something. So I just took that gorilla design iteration, with the very high back, and just went to town with it. Actually, I didn’t do many conceptual designs or even images for it. Funny enough, I literally just took my laptop on holiday and I modeled it by the beach over two weeks and brought it back to Rian. Did the only two or three pictures that were done for it, and then showed those to Rian, who was really happy with it, and then I just made the physical models. Because the other thing I was doing on this show, compared to Episode VII with a lot of the vehicles that I was doing, I actually got Rian to approve them as physical prototypes. I would 3D print them from my 3D files, and then I would sort of scratch-build them. They are fully-painted. Rian has a fully-painted gorilla walker I’ve made for him. That was done for a number of the vehicles on Episode VIII. StarWars.com: With these two designs, the Dreadnought and the AT-M6, what are you particularly proud of? Kevin Jenkins: I’m very proud of the gorilla [walker] from the point of view of exactly what I said, that I feel that it’s an iteration forward. A spitfire and a modern jet, you can see the link there. They’re part of the same thing. That was always my intention with the gorilla. It’s not a start from scratch. This is the aesthetic, this is the way that the First Order, who was the Empire, work. So that, I’m really happy with. When I found the final model balance, I kind of thought, “I don’t think I can move this around anymore. I think this is it.” Rian saw it and his eyes lit up, and he just went, “There’s our walker.” That was really cool. But then on the other hand, the same kind of goes with the Dreadnought, and that evolved a lot harder and over a lot longer period of time than the walker, which was pretty much kind of stab one, almost. With the Dreadnought, I feel that we are making sense of First Order technology and trying to tie it together, rather than just doing cool ships. It’s hopefully cool because of what it does and its design makes sense for the story, and then hopefully future generations will think it’s cool because of what it ends up doing in the movie. But again, trying to move the design forward. That’s why it has that super-wide bridge. When it’s lit, it’s like a submarine because everything goes red when it’s going to fire. So I don’t know, I’m pretty happy with them, to be honest with you. But for different reasons, because when the Dreadnought was [requested], “Oh, we need another ship,” I thought it was just a flippant, “Oh, we just need another thing,” and it turned into a whole sequence around what it needed to be. And the walkers for different reasons, because that 10-year-old kid in me, when I saw The Empire Strikes Back, thought that that was the coolest thing I had ever seen. And it’s very hard to live up to anything that Ralph [McQuarrie] did, but if we captured a little bit of that feeling of what was done in the ‘70s and ‘80s, then hopefully we succeeded. Be sure to head over to StarWars.com now to read the full interview. And get ready to see the First Order Dreadnought and AT-M6 in action when Star Wars: The Last Jedi opens in theaters on December 15th! You know how a burger and an olive served as inspiration for the Falcon? Well I'm guessing that the Dreadnought was inspired by a slice of pizza with an extra thick crust.